Turnout gear and PPE which is not cleaned frequently may wear out sooner. This can shorten the lifespan of your gear…and as we’re sure you know – turnout gear is not cheap! 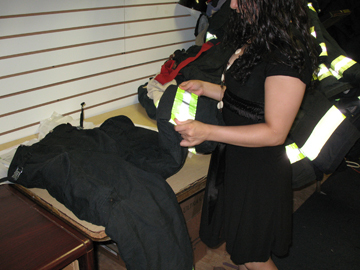 Firefighter protective clothing must be inspected and kept clean to ensure its proper performance. Gear will require more attention depending on how extensively it is used and on the nature of the incidents at which it is worn. Inspecting gear on a regular basis (after use or at the beginning of a shift) can reveal damage, contamination, and wear, that will indicate the garment needs to be cleaned, repaired, or retired. If you find any wear, tear, cracking, or discoloration on your garment, or if it is soiled to the extent that it cannot be cleaned through routine cleaning, your garment might require an advanced cleaning, along with an advanced inspection. NFPA 1851 dictates the standards for the advanced inspection of firefighting turnout gear and PPE. For issued turnout gear to remain compliant, an advanced inspection is required AT LEAST once a year or whenever the gear is exposed to soiling at a fire. The advanced inspection needs to be carried out by either a verified ISP or by trained individuals of the fire department. Your department or ISP also needs to keep a record on file of the advanced inspections for each piece of turnout gear. As a third party verified ISP, our advanced and complete liner inspection, cleaning, and repair service is held to the highest standard of quality and care. We have total quality control measures at every stage of the process. When your dirty gear arrives at our state of the art facility, before we even conduct the advanced inspection, we thoroughly wash your gear and use ozone to sanitize it. 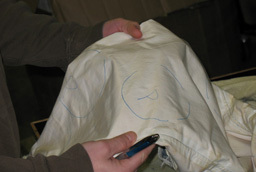 The liners are removed from the shell and laundered separately. This is to prevent any contaminants on the shell from being transferred to the inner portions of the garment during the laundering process. Once your gear is cleaned, it undergoes an advanced inspection that includes hydrostatic testing and complete inspection in compliance with NFPA 1851 standards. We know the importance of proper gear care, so our 911 Clean team ensures that all garments receive the best advanced deep cleaning, sanitization, and advanced inspection services.